The singular focus of Lessig’s campaign would be passing the Citizens Equality Act, a package of reforms that would guarantee the freedom to vote with automatic registration, end partisan gerrymandering and fund campaigns with a mix of small-dollar donations and public funds. Lessig has noted that Bernie Sanders has many of the same goals, but objects that this is not his top priority. In contrast, Lessig has often criticized the ethics of both Bill and Hillary Clinton. 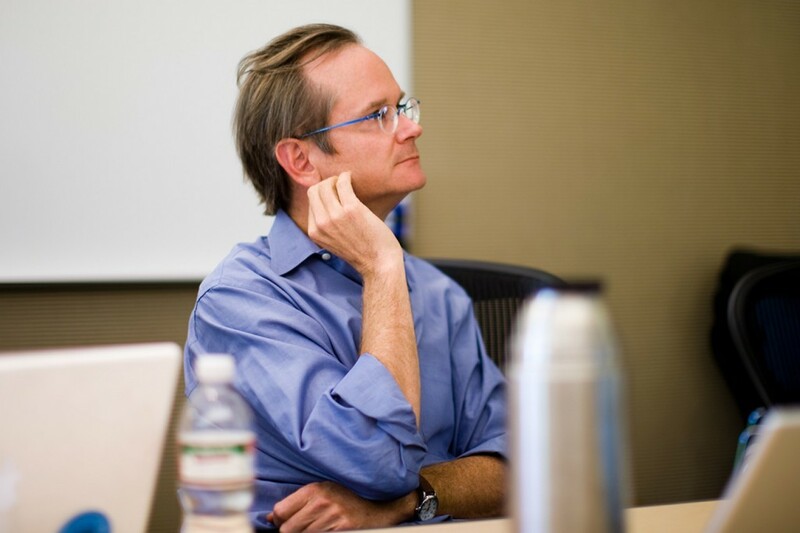 In 2008, in explaining his endorsement of Barack Obama, Lessig criticized Bill Clinton for his “consistent refusal to stand up for for what were strong principles, at least as he articulated them, in his campaign.” He expressed fears that with Hillary there “are things to make one suspect that she lets principle yield in the face of expedience.” He condemned Hillary for her “lack of moral character, moral courage” and criticized Hillary Clinton’s conduct during the 2008 campaign, accusing her of dishonesty and “swiftboating” Barack Obama. I quoted additional criticism by Lessig of Clinton’s conduct here. It is hard to see this campaign really going anywhere. Those who have concerns about corruption in government are increasingly backing Bernie Sanders, and would not be likely to vote for Lessig over Sanders in the primaries. I think it would make more sense for Lessig to speak out on these issues while backing Sanders, and pushing Sanders to place greater emphasis on government reform in his campaign. There are many potential supporters of Sanders who are interested in issues beyond his economic platform, including government reform, support for civil liberties, and opposition to the greater military interventionism supported by Clinton.